After the recent release of 260.63 in beta, NVidia has now officially released version 260.99 of its video drivers, supporting their newest GeForce cards. This release is primarily for Windows Vista and Windows 7, but there is support for other Windows versions as well. The installer for the new NVidia graphics driver package has been updated. The user interface has been improved to offer one-click installation as well as customized installation. The customized installations allows the user to select which additional driver components to install, and it also allows you to do a clean install. The clean install will first remove the older drivers from the system, which can help prevent driver update problems. The NVidia Control Panel has also been improved in version 260.99, again simplifying a lot of things, like multi-display support. This version of the NVidia display driver also adds support for 3D Blu-ray disc playback when the video card is connected to a 3D TV using HDMI 1.4. The new Nvidia video cards, GeForce GTS 450 and GT 430 are now supported. And of course there are a number of bug fixes and performance improvements with the new driver. Performance improvements typically pertain to games and high performance graphics applications. For more details, you can check the official NVidia Release Notes. 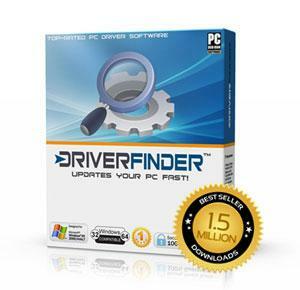 Download this new NVidia driver now using DriverFinder!